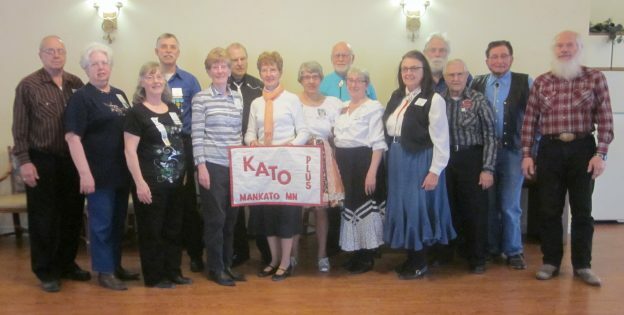 Kato Plus | Square Dance Minnesota, Inc.
March 24, 2019 – Kato Plus Square Dance, Mankato, Caller Abe Maier. Spares & Pairs, South Metro Stars, St Peter Squares, and County Line Squares danced with Kato Plus (see photo above). This entry was posted in Activities on March 28, 2019 by LeRoy.